But in order to efficiently return a vehicle to OEM specs, you must have a comprehensive understanding of how it was designed and built. This knowledge, along with the processes used to repair the vehicle, is essential to design based repair. In this post, we’ll focus on two fundamentals of design based repair, and why estimators and technicians should be implementing them with each auto body repair job. Diamond: One side rail is misaligned forward or rearward in relation to the opposite side rail, creating a “diamond” shape in the frame. This is commonly caused by an impact to only one corner of the vehicle. Even though it’s located in the center section of the vehicle, diamond damage affects the centerline alignment of both ends. Twist: Diagonally opposed corners are either too high or too low in relation to the vehicle’s horizontal plane. This can occur when one corner of the vehicle is driven up or down during the collision. The height of the vehicle, even on the side opposite of where the collision occurred, will likely be incorrect. No vehicle can be returned to OEM specs unless it’s properly secured during the entire repair. For this, you’ll need a frame rack and anchoring system. These tools prevent undamaged parts from shifting out of place during sectioning and also help to precisely distribute pressure when pulling is needed. 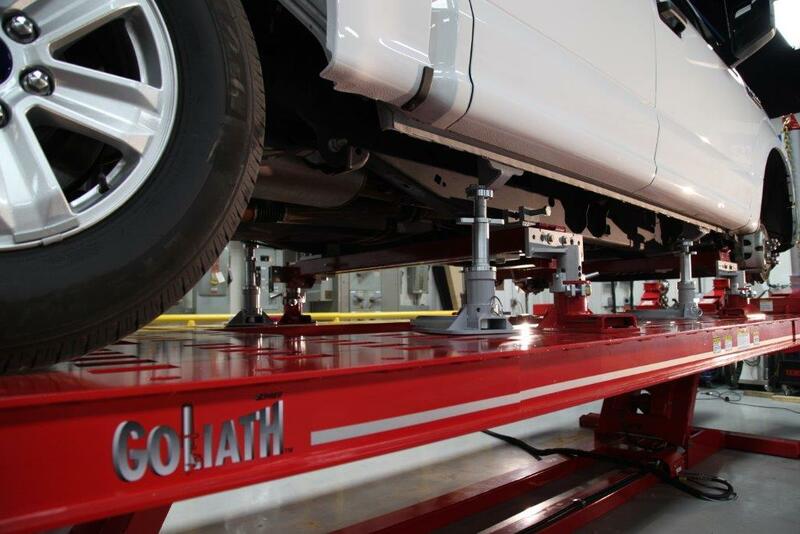 The four corners of the vehicle’s center section are usually ideal places for anchoring; however, additional holding points may be needed depending on the vehicle’s design or the damage it sustained. Use the bases, tubes, turnbuckles, mounting plates, bolts and wing nuts included in your anchoring system to build a secure connection from the frame rack up to each holding point. Chief’s structural holding page includes a series of videos that show how to build a variety of anchors using our Structural Holding Package. By applying design based repair principles, you will not only be able to return a vehicle to OEM specs: Your estimates will be more accurate, your repairs will be more efficient and your shop will be more productive.